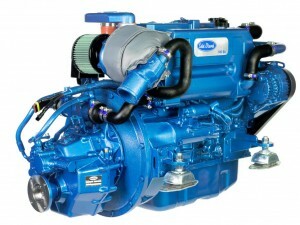 Sole Diesel SA is pleased to announce the introduction of the new SM-82 and SM-94 Marine Diesel Engines. A world-wide exclusive for Seawork 2016, the SM-94 is making its first appearance on to the market at this week’s show, and features a step forward in appearance and technical features to increase power and efficiency of this engine. The new SM-82, gives you 82bhp @ 2500 rpm, and the SM-94 gives you 94bhp @ 2500 rpm, both feature the new PRM 280 Marine gearbox, which can specified with a Live PTO clutch drive. The new product features, a compact and smaller water cooling system, new anti-vibration mounts, air filter, cover for the relays, V-belt protection guard, and better dipstick position.